Seen as a response to an interview with German Dictator Adolph Hitler in the British magazine Insight, Hounds is about a maniacal German warlord who is under the thrall of a Vampire. 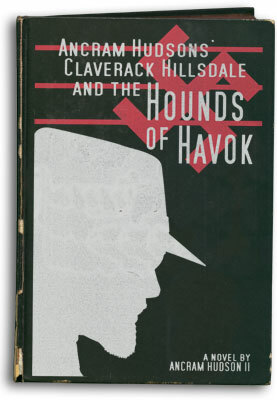 Hillsdale and Hudson discover that the genocides that the warlord carries out against his captured lands are an attempt to ferret out a prophecied amulet which will allow his blood hungry master to control the minds of all Europe. Writ large against the canvas of WW2, this is one of the few times that a Hillsdale story is set firmly in a specific time period. Note: One year after this book was released, Hudson was found dead in the woods of Vermont, of an apparent hunting accident. Speculation amongst fans has always assumed that German involvement in the death was indicated, but the Chief Medical Examiner of the State of Vermont declared the death accidental and sealed the records for all perpetuity.